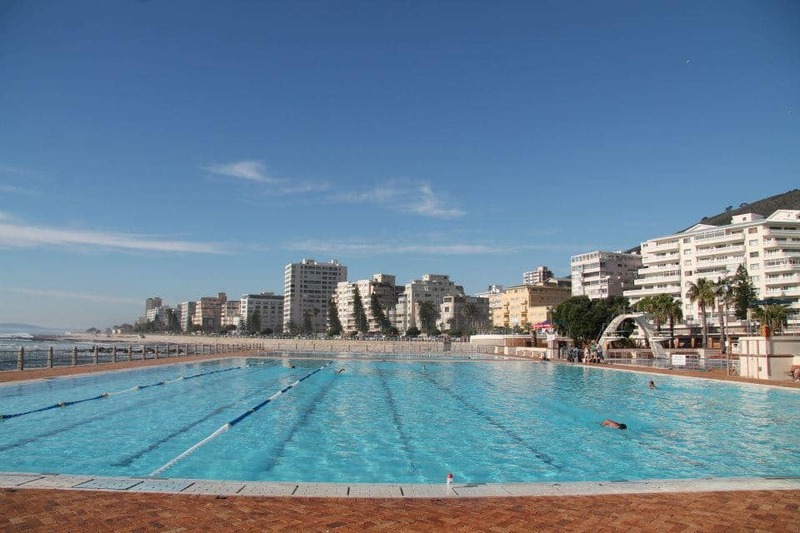 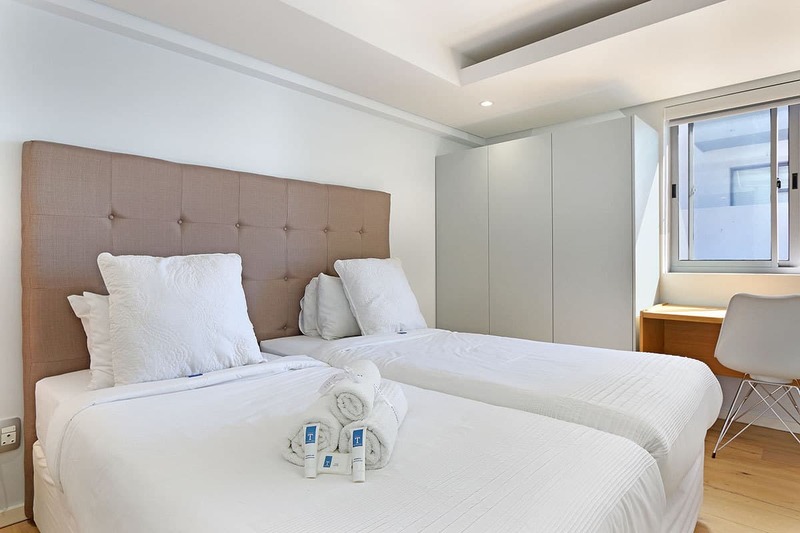 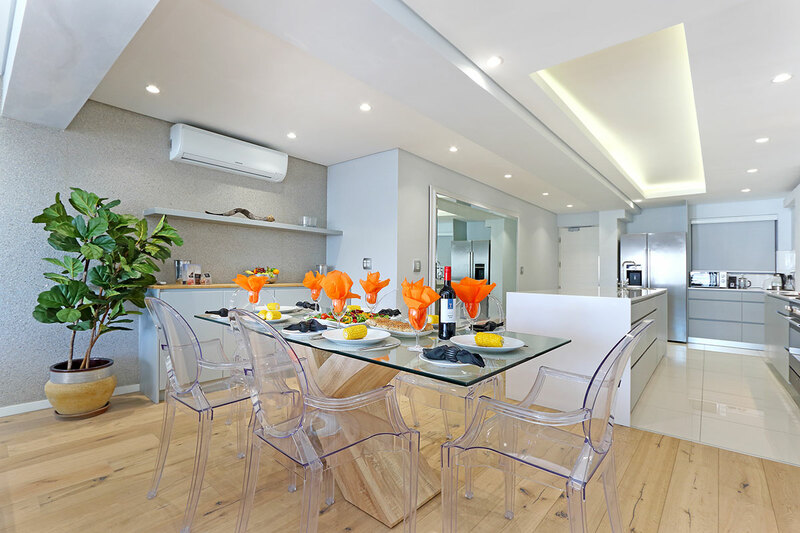 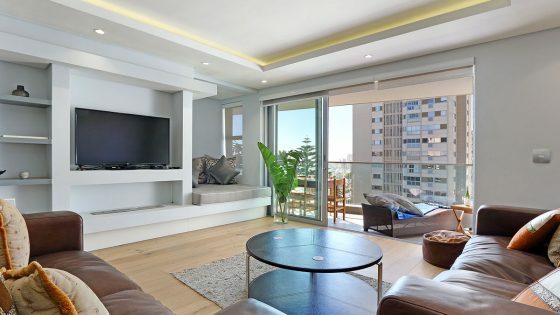 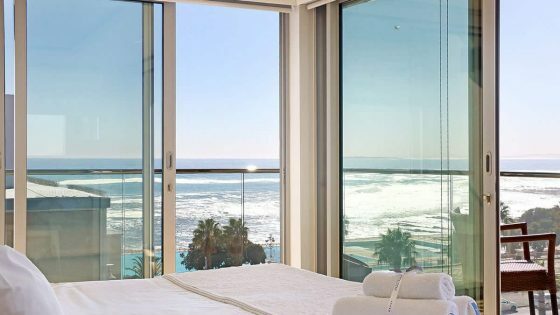 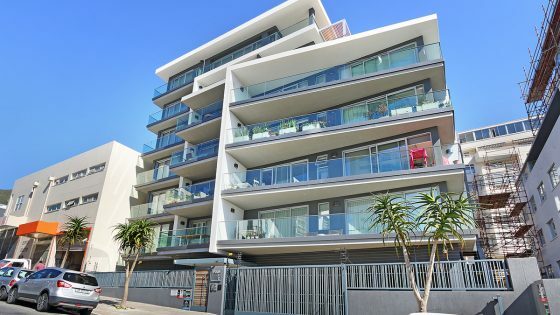 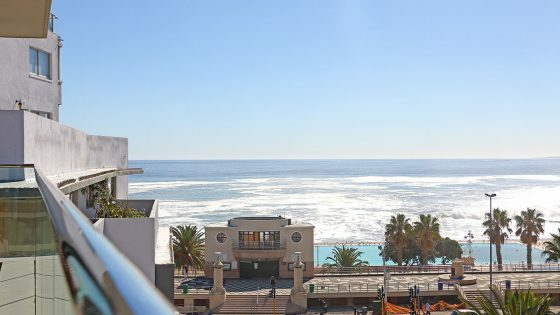 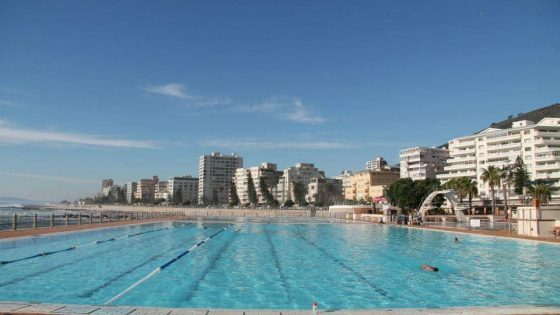 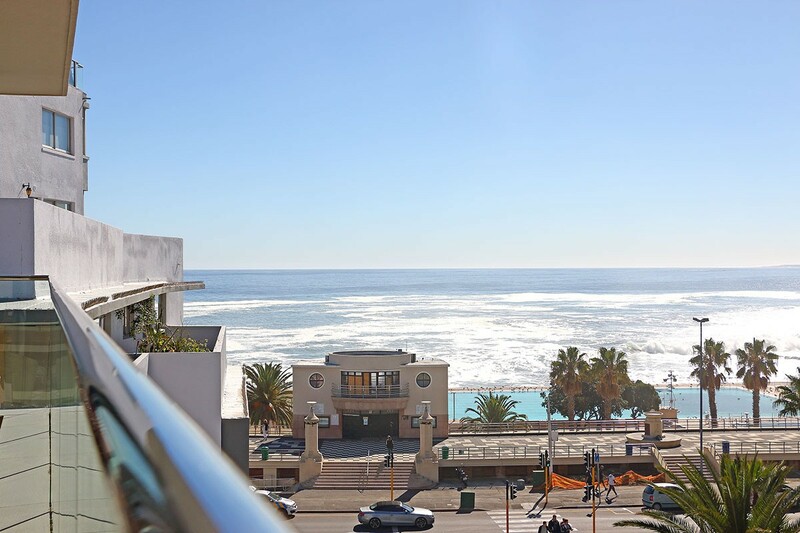 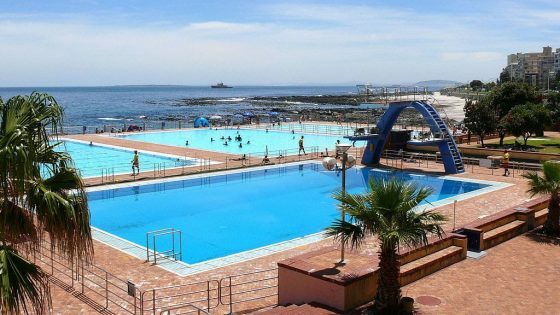 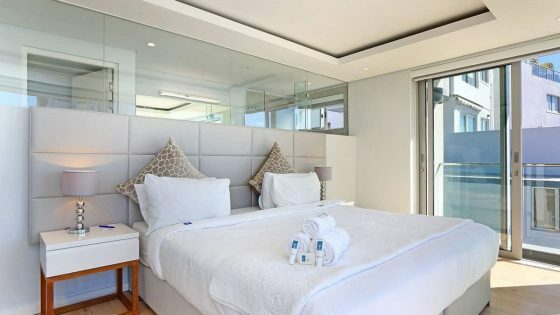 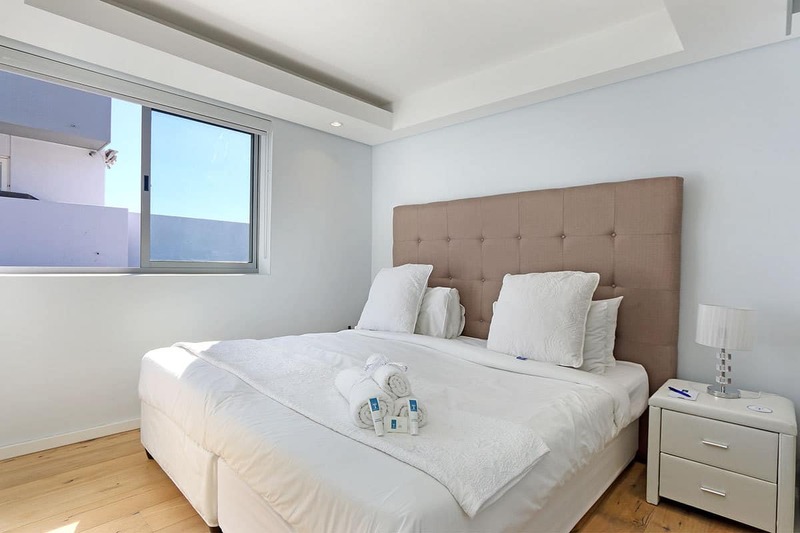 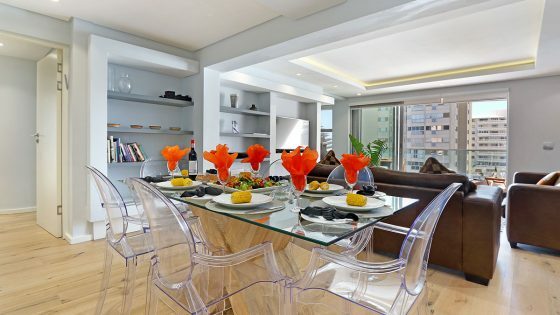 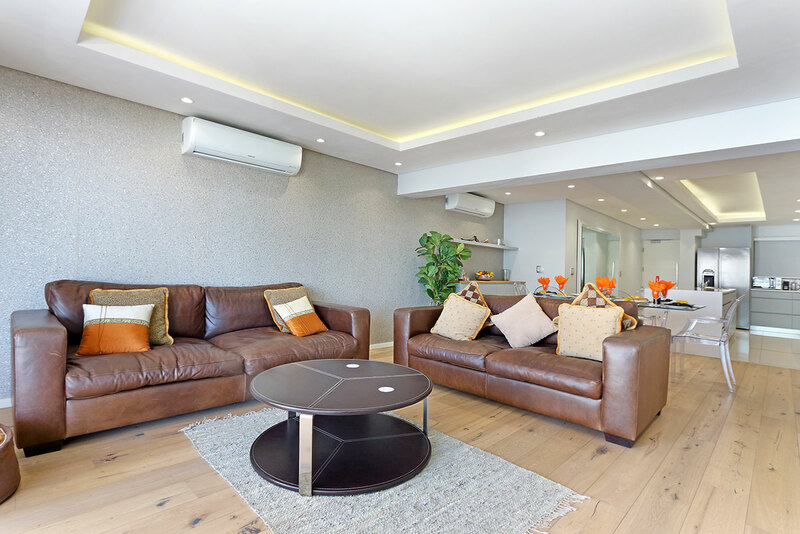 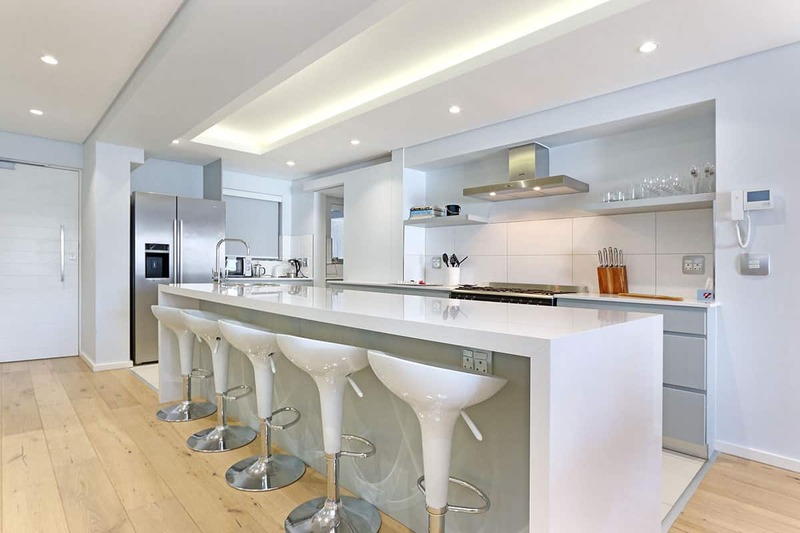 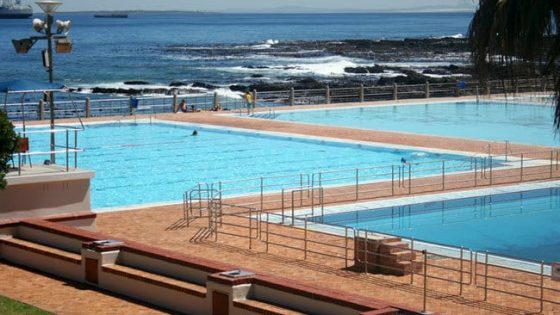 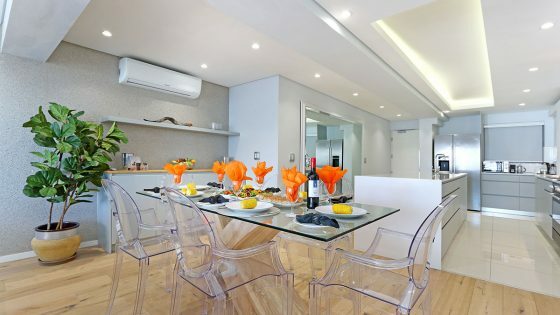 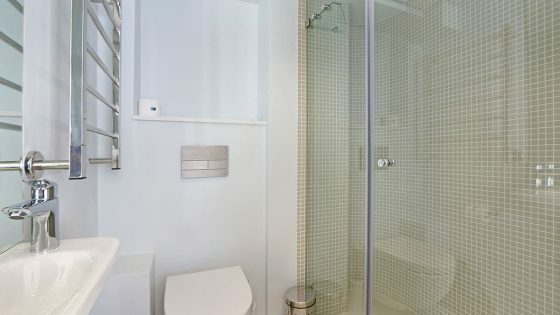 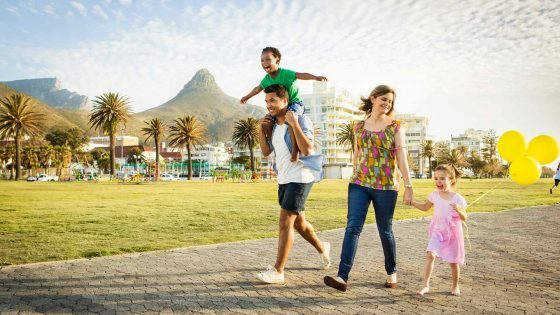 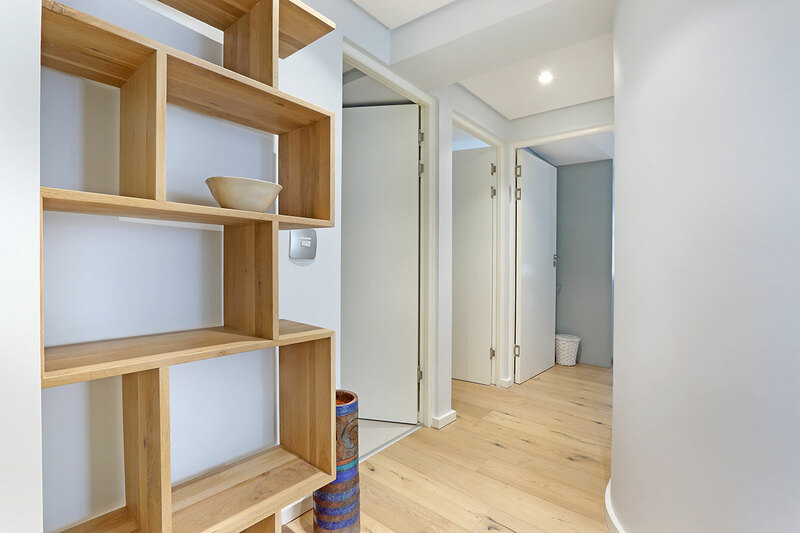 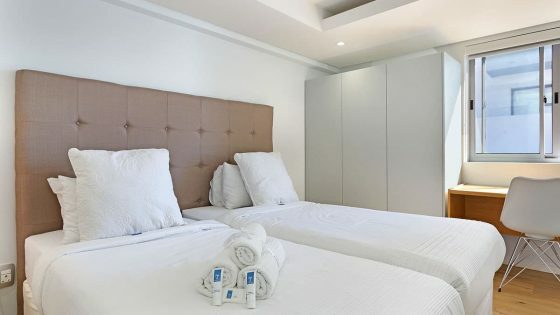 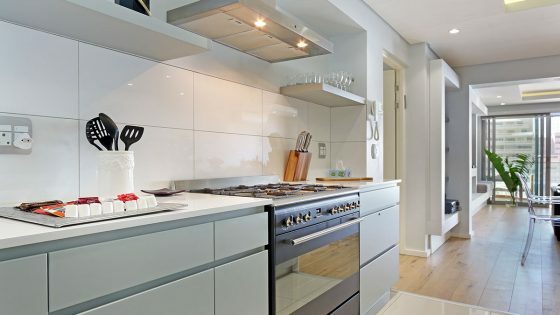 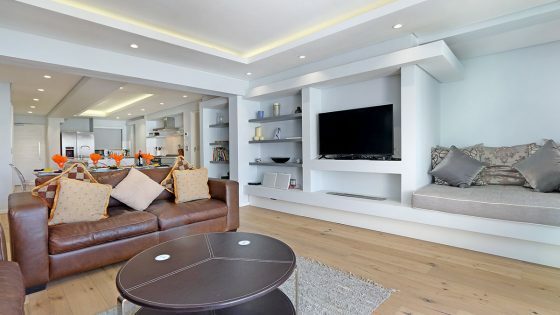 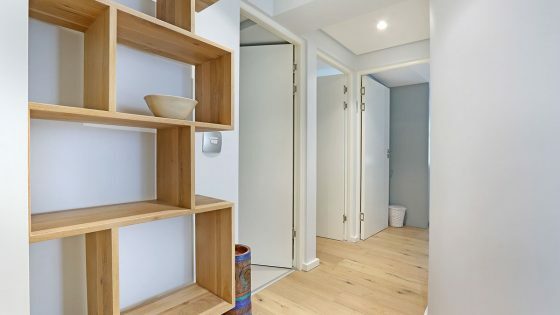 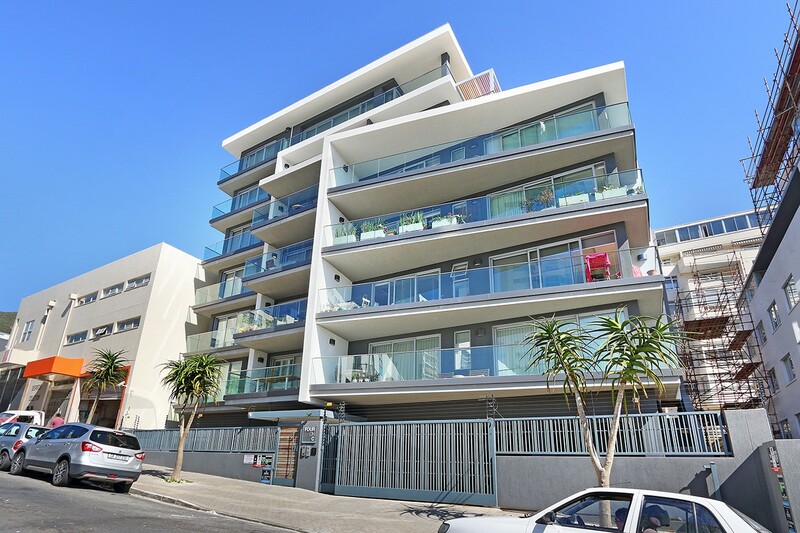 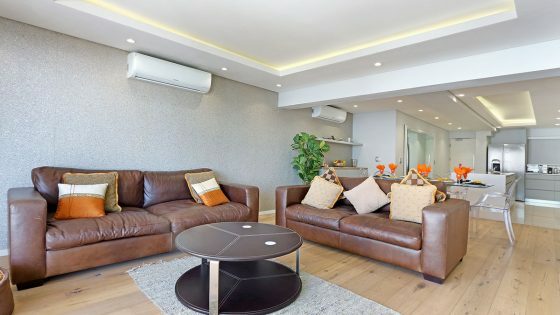 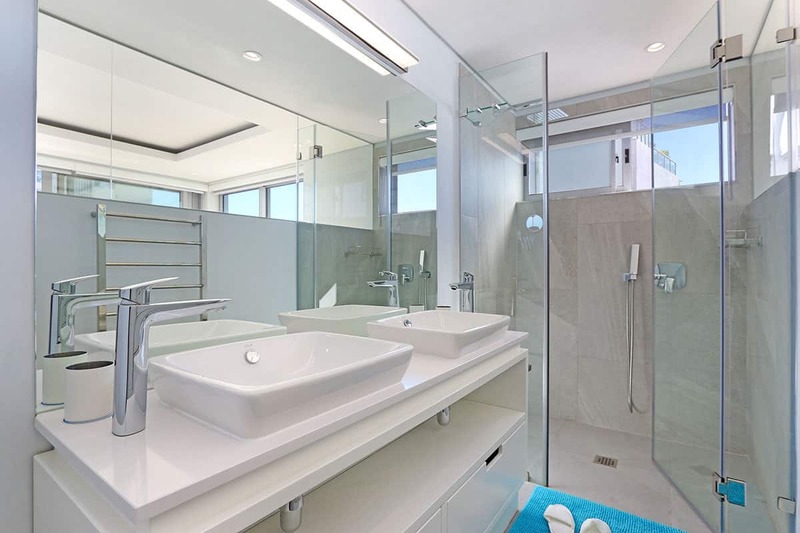 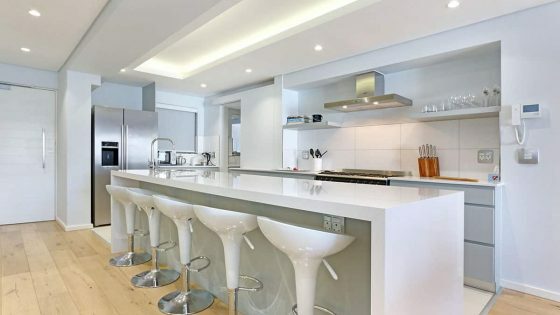 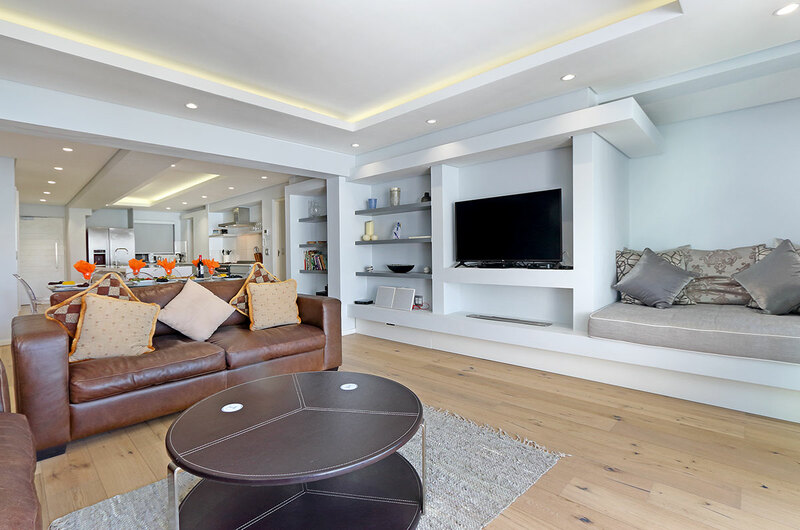 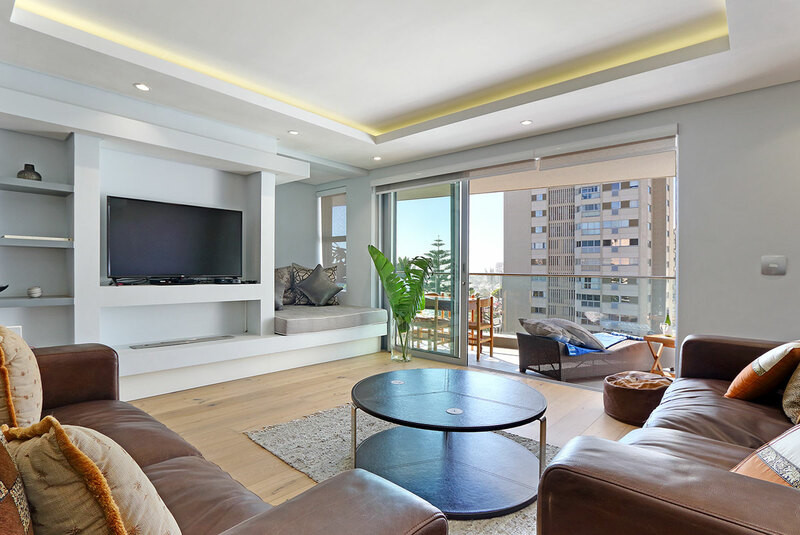 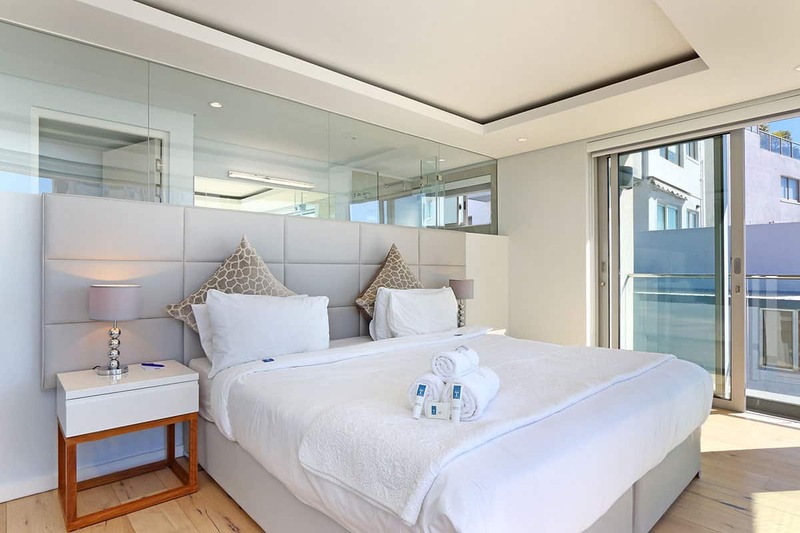 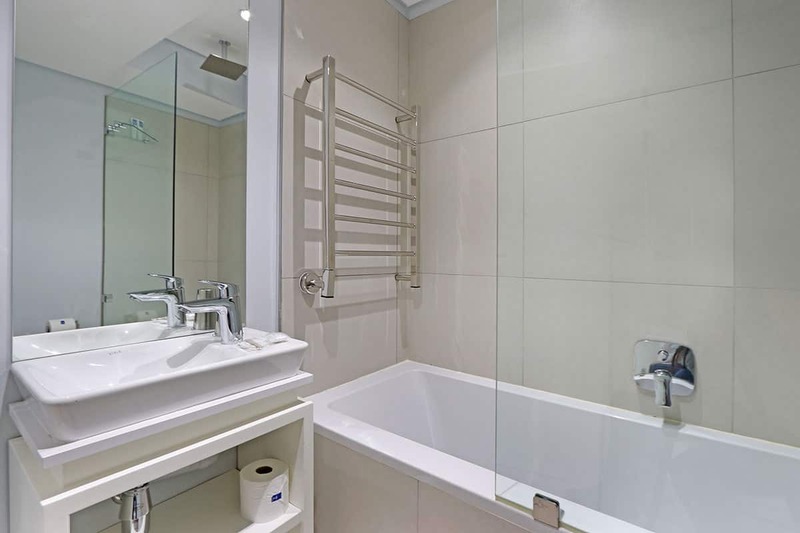 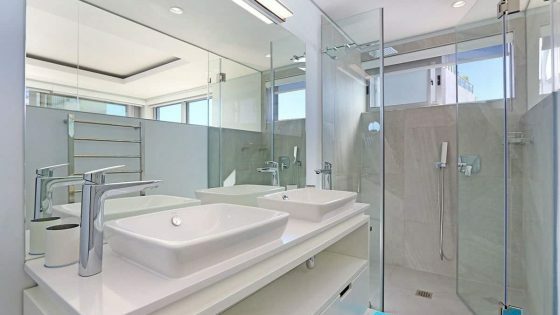 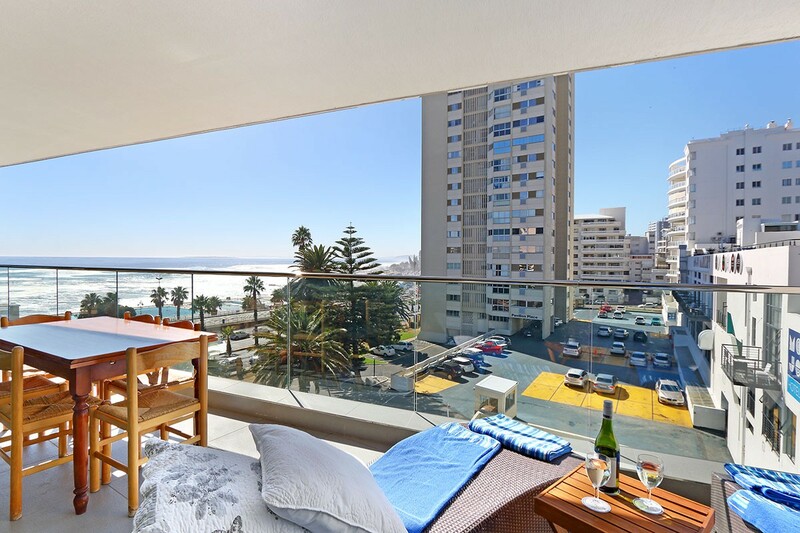 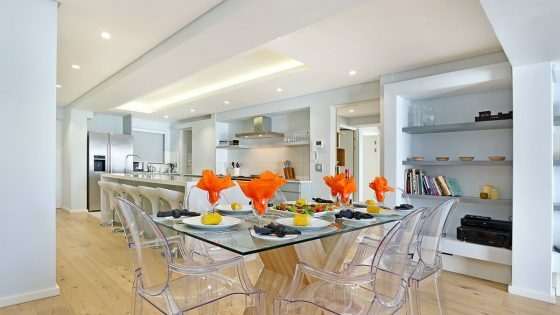 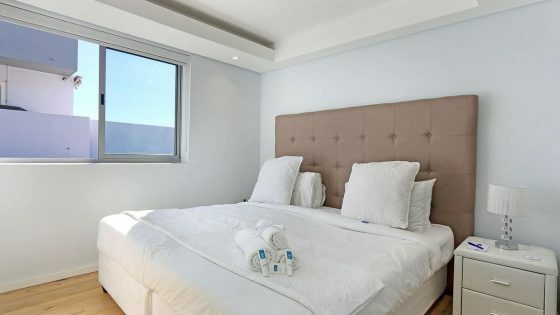 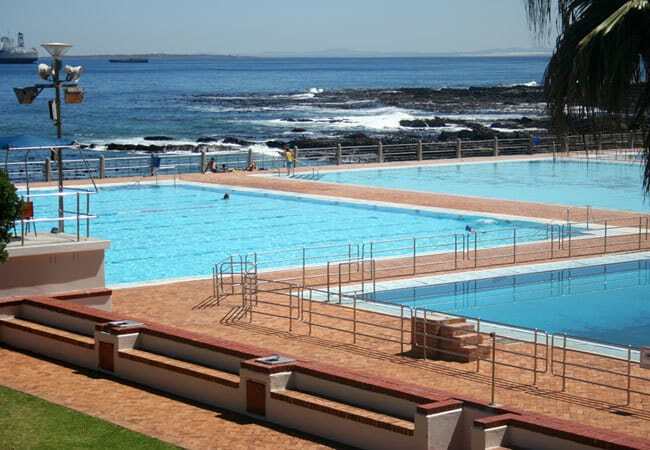 Ideally located within a stone’s throw from the Pavilion public swimming pool and the bustling shops along Sea Point Main Road, the apartment has bright, open plan living spaces with floor-to-ceiling sliding door windows that flood interiors with natural light. 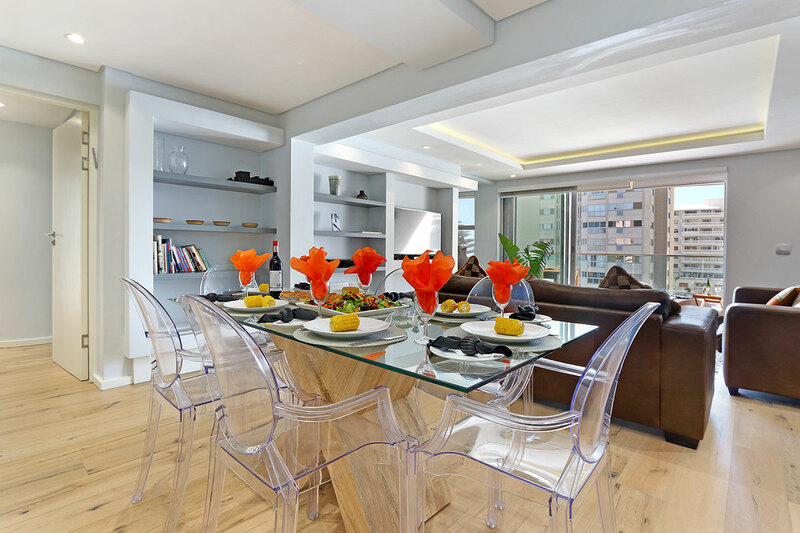 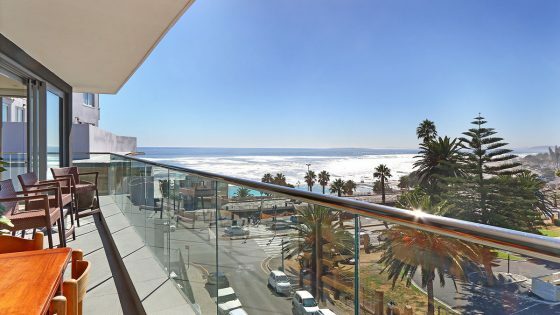 The central living area features an open plan lounge, dining room, and modern kitchen, which flow out onto a large balcony with panoramic views of the Atlantic Ocean and Robben Island. 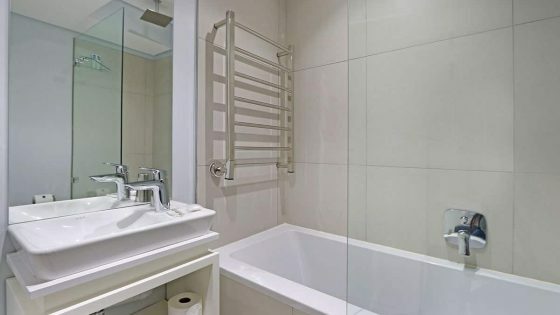 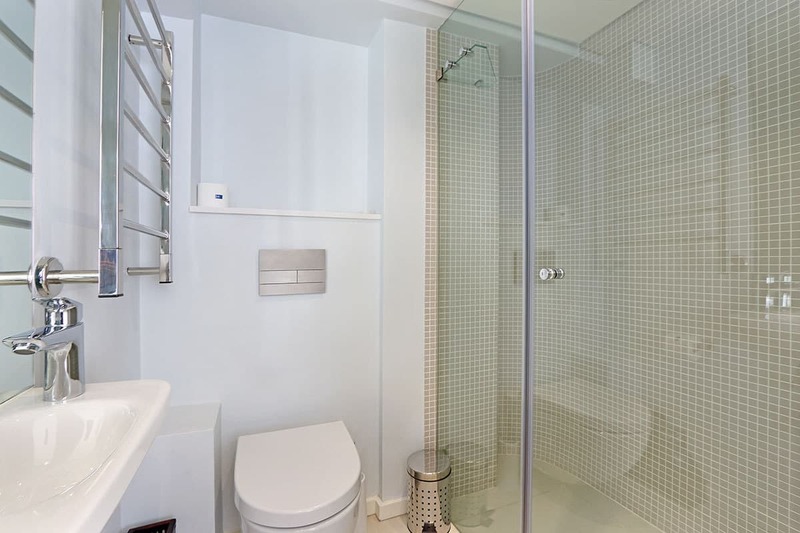 Three bedrooms are spacious and light and have en-suite bathrooms, two of which have showers and the third, a shower-over-bath. 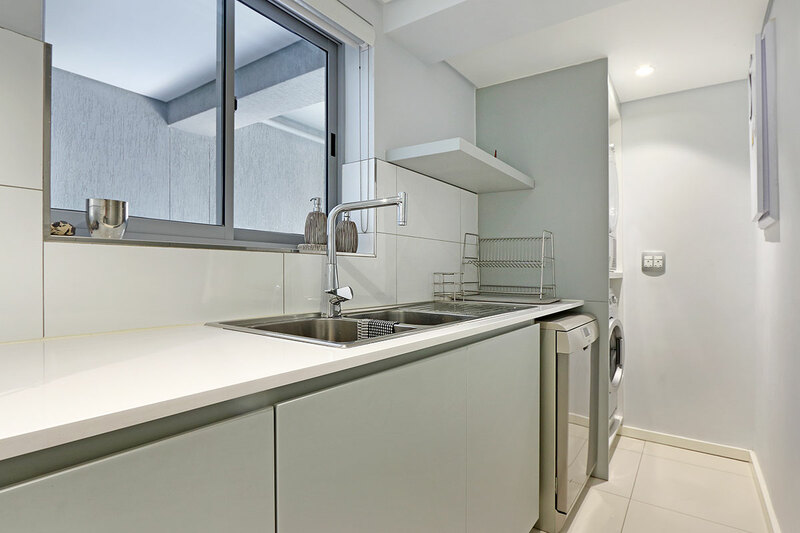 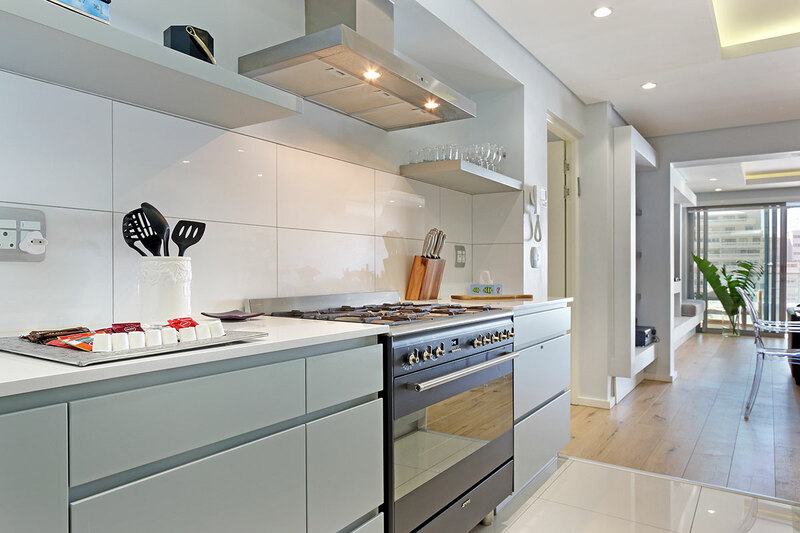 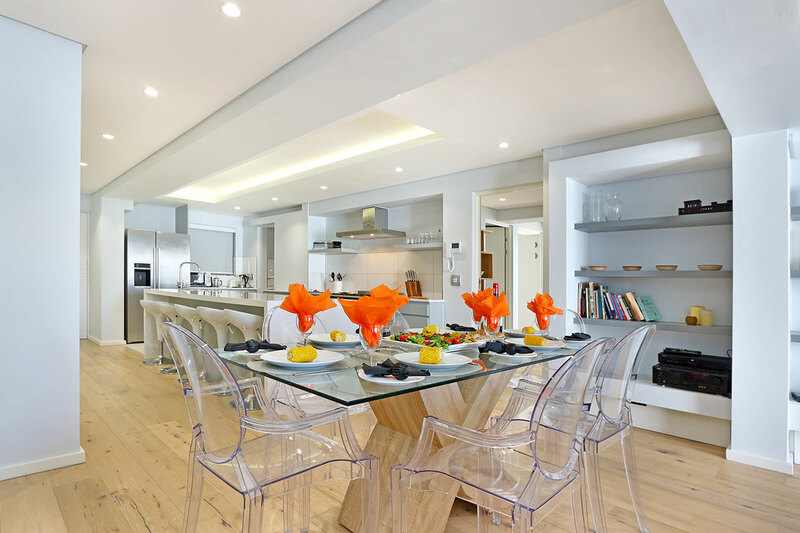 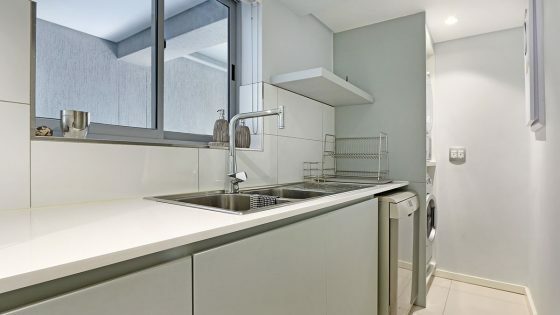 The modern kitchen is fully-equipped with top-end appliances, and new cutlery and crockery to ensure a hassle-free holiday. 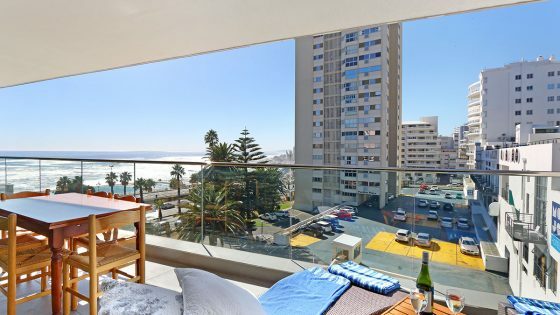 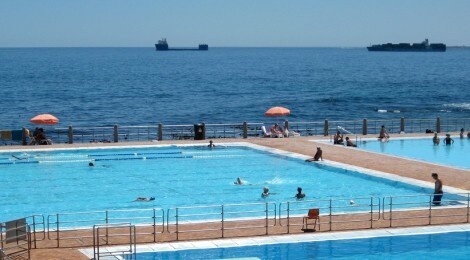 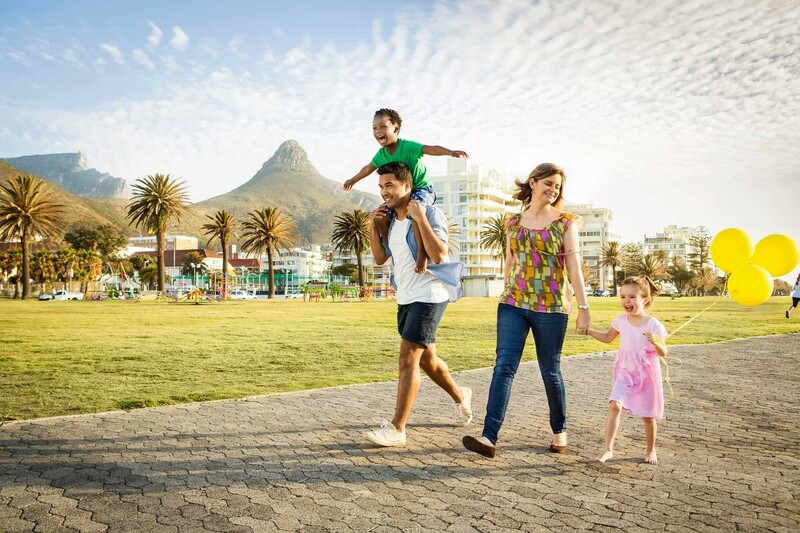 The apartment has a dedicated parking bay in a secured area and is within walking distance of several MyCitiBus stops. 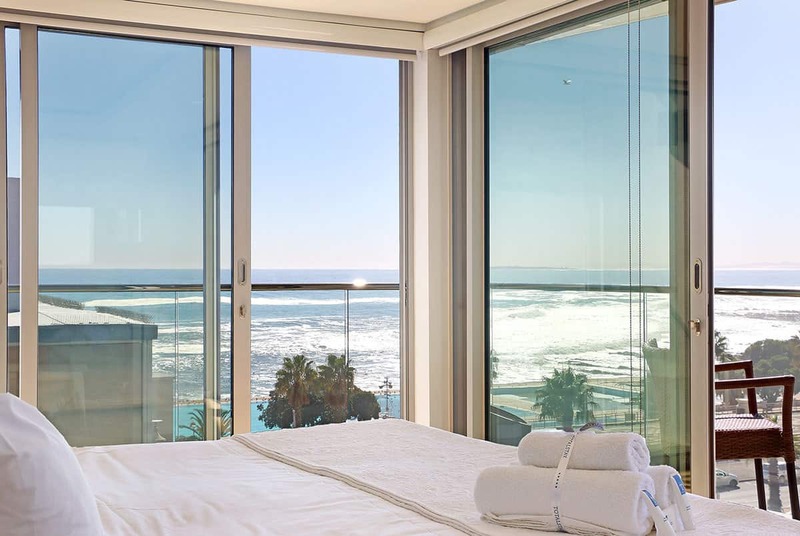 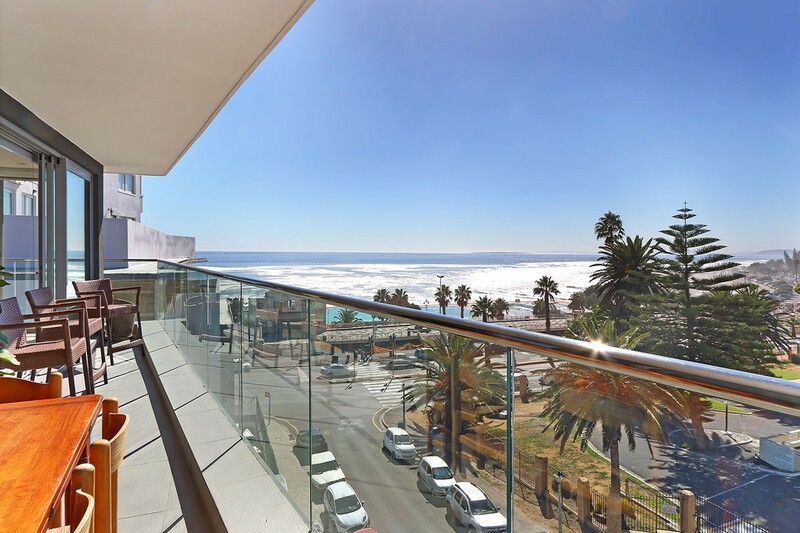 Previra boasts contemporary and tasteful design, a fantastic location and gorgeous views – a perfect base for your Cape Town vacation.